Can a Cherry Pit Dissolve in the Intestines? Swallowing a cherry pit may be hazardous. A cherry pit contains potentially harmful compounds when digested. Your body's digestive system breaks down and dissolves food like cherry pits and other fruit pits. Any of these may cause health problems because of their size and the compounds contained within the pits. When you eat a cherry, it passes through your esophagus to get to your stomach. The esophagus is a tube that leads from the throat to the stomach. The stomach is where food first dissolves. It churns and mixes food with gastric juices. Food then moves to the small intestine, which continues to dissolve and break down food. The small intestine uses juices sent from the pancreas, liver and gallbladder to dissolve and absorb food. Your body absorbs nutrients through the intestinal walls and into the bloodstream. A cherry pit usually follows the same process as any food item. 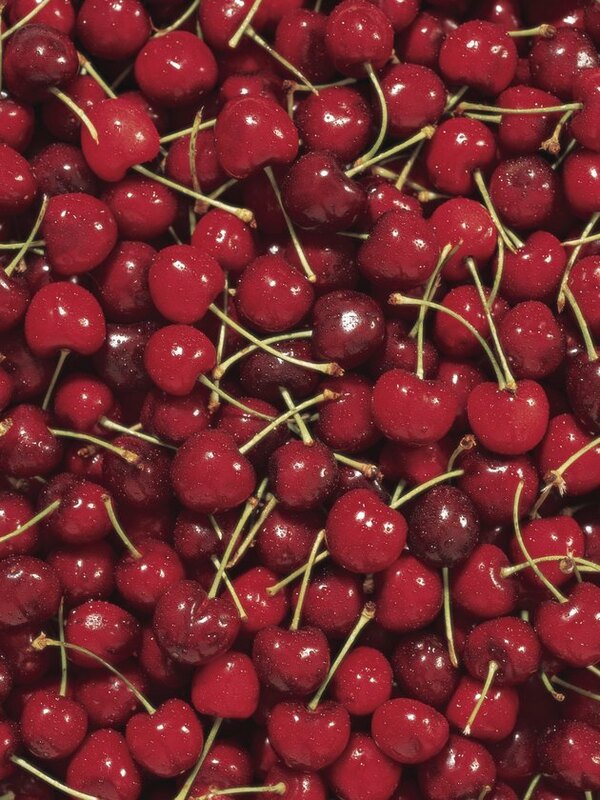 When your body dissolves cherry pits it transforms them into a compound called amygdalin. This compound is a natural source of cyanide. A typical person's digestive system can break down cyanide from plants into safe compounds when digested in small quantities. Swallowing a single cherry pit is therefore unlikely to cause you harm. Ingesting large amounts of cyanide, however, may result in symptoms like headaches, dizziness, vomiting and anxiety. Severe cases may lead to more significant problems, including kidney failure or death from respiratory arrest. This is because cyanide stops your cells from using oxygen, which leads to cell death. A hard foreign body like a cherry pit can lodge itself in your digestive tract. Your stomach and small intestine cannot dissolve the cherry pit if this happens. In rare instances, a lodged cherry pit or a pit from another fruit can cause appendicitis. Appendicitis is characterized by inflammation of the appendix. A blockage from a foreign body causes irritation that leads to an inflamed appendix. Worms from contaminated foods can also lodge themselves in the intestines and cause appendicitis. Spasms felt near the belly button, nausea, diarrhea, fever and pain in the lower right abdomen are common appendicitis symptoms. Although most adults and older children can safely eat and dissolve one cherry pit, children under 4 years of age should never be given cherries with pits. A child under 4 years old does not know that he should spit out a cherry pit or other hard foods. Hard foods like cherry pits, watermelon seeds, hard candies and even raw foods like carrots and peas are potential choking hazards. The foods may be sucked into the child's lungs when he inhales. Stringy foods, seeds, nuts and meat are also hazards. Can You Eat Wild Cherries? Can Food Cause Blisters on the Roof of Your Mouth? How Can I Get Rid of Food Stuck in My Esophagus?